Make sure the VM is running in Skytap. Locate the Public address of the published service from the VM Settings > Network Adapters page. Use the Public address (services-apac.cloud.skytap.com:25424) to connect to the VM. For example, to access a web service, enter services-apac.cloud.skytap.com:25424 in a browser window. For more specific guidance about connecting to an RDP or SSH published service, see Connecting to a VM via direct RDP or Connecting via SSH. 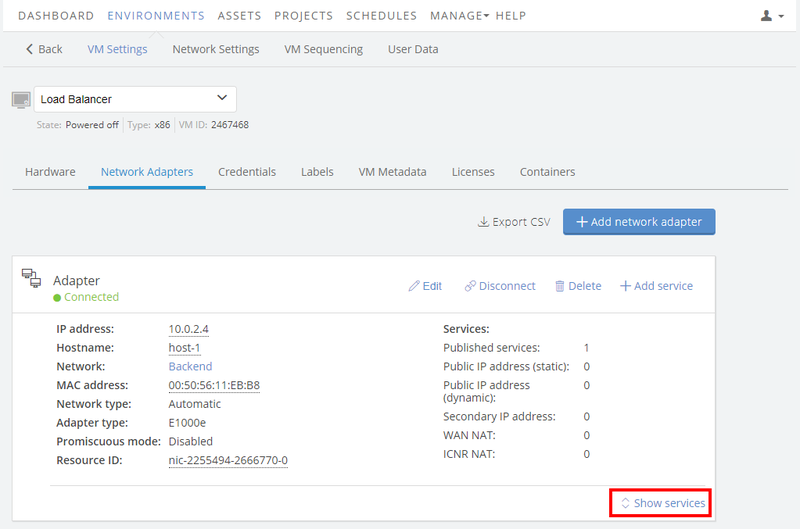 If you are unable to connect to the VM using the published service, see Troubleshooting issues with connecting to a published service for a list of helpful steps.